Let me help improve your animal-owner relationship. Training improves communication between you and your pet, strengthening the bonds of loyalty and obedience, and increasing the potential to introduce a well-loved member into your family for the rest of their life. Check out my programs and contact me to start your journey on the road to success! Puppies don’t come knowing all the things necessary to living with humans. This program will teach you everything you need to know to raise your puppy to be a well mannered adult dog you can be proud of. Lessons are kept short so your puppy doesn’t become bored or overwhelmed, this ensures that learning is fun and helps them retain what they have learned in the lesson. All commands are taught with food to teach your puppy what the words mean. BONUS: you will receive tips on how to socialize and potty train your new puppy. Do you dread walking your dog because they go ballistic when they see another dog? Do you feel guilty for locking your dog in another room when guests come over, but don’t know how to make their bad behaviour stop? In as little as an hour, you will learn how to teach your dog to walk properly on leash without the regular shenanigans. Does your dog run your house? Do they seem to bark at nothing at all? Would you like to have a dog who will lay quietly at your feet? 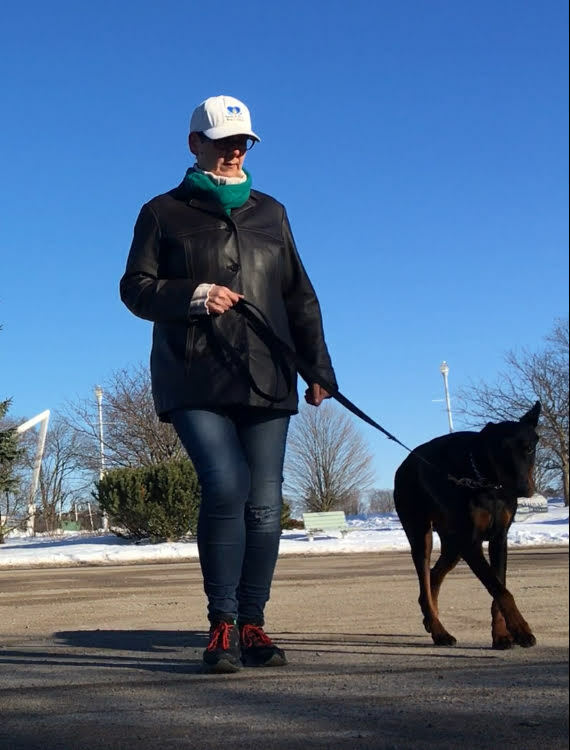 For dogs and owners who need some extra guidance to deal with some behaviour programs such as jumping up, stealing food, pulling on leash, etc.You will be amazed at the transformation in your dog within a few short lessons! This program is designed for dogs who have some mild aggression issues or reactivity. It is also good for working on off leash obedience so you can take your furry friend with you for off leash hikes and not have to worry about him or her taking off after a squirrel or rushing up to a strange dog or person. It will give you the tools you need to manage your dog’s unruly behaviour whether you are at home and company comes over, or you are at the cottage enjoying the tranquility of being in nature. This Program is the most diverse in what it will provide for you and your dog. It is perfect for you if you enjoy off leash hikes with your dog, but worry about them chasing a squirrel and not coming back. It is also good for dogs with serious aggression issues. This program will teach basic commands plus show you how to deal with behaviour problems. If your dog is aggressive, destructive, stealing food, pulling on leash, barking at people and/or other dogs, or any number of other problems, this program will show you how to deal with them all! READY TO SIGN UP? WANT TO LEARN MORE?